Looking to become a manager? Want to know what makes a successful CEO? 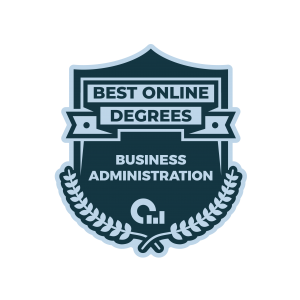 Here are the Best Online Bachelor’s in Business Administration Degrees! Whether you have a business background or you’re looking to change careers, an online degree in business administration will certainly benefit you. From managing teams to communicating effectively, you’ll learn all the secrets to succeed in the business world. No matter your industry of interest, from government to healthcare, a background in business will serve you well in securing the career you truly want. A Business Administration degree trains students to make complex business decisions quickly and confidently by using the proper management and analytical skills. A business administration degree not only furthers leadership and advocacy skills, but it also instills confidence in students moving forward. A business administration degree can train you to become an accountant, a human resources manager, and an advertising executive– to name a few! Most of the below programs are between 70-120 credit hours, depending on the amount of experience needed beforehand. Depending on the school, you might enroll as a full-time or part-time student. How much can you earn with a Business Administration degree? With a bachelor’s degree in business administration, administrative services managers earn an average of $94,000 annually. Accountants and human resources managers with the same education earn anywhere from $60,000 to $70,000, while marketing managers make an average of $60,815. Of course, your earning potential is dependent upon your education, what industry you work in, and in what city you choose to work. What is required for a Business Administration degree? Many of the below programs require applicants to have either an associate’s degree or some college credit. You don’t necessarily need to have a background in business. Undergraduate GPA prerequisites range from 2.0 to 3.3. Some of the programs require students to complete a capstone or final project equivalent in order to receive their degree. Many online bachelor’s degrees on this list can be completed in just two years or less. What are the best Business Administration degrees? We have compiled a list of the 35 Best Online Bachelor’s in Business Administration. Our ranking system is first based on the quality of the program, as indicated by student engagement and faculty credentials. This score includes student-to-faculty ratio, graduation rates, and faculty experience and training. A degree is only as good as its future prospects, so our rating includes potential earnings for a business administrator. Our methodology also incorporates the number of online programs and courses offered, tuition price, and acceptance rates. We also take into consideration student and alumni satisfaction in the program rankings. The university’s Warrington College of Business offers a 100 percent online bachelor’s degree in business administration. The BSBA allows students to focus more on business disciplines like entrepreneurship, real estate, finance, and marketing. The BABA allows more flexibility for students to pair their business knowledge with outside areas that align with different industries, more easily include minors in their course of study, and take courses that might be needed for graduate school in certain specialties. ASU’s W. P. Carey School of Business offers a completely online 120-credit Bachelor of Arts in Business Administration. Students will take 41 classes, including Business Operations and Planning and a Business Administration Capstone. Each 7.5 week class will prepare you for careers in logistics management, sales management, transportation management, and more. Offered through OSU’s College of Business, this program is delivered completely online by the university’s Ecampus. With four start terms each year, students must complete 180-credit hours, including a pre-business core curriculum. Most students earn their bachelor’s degree in business administration in four to six years. Offered through the university’s College of Business and Management, the online BBA is identical to the one offered on-campus. Students may choose from one of two concentration areas: the Business Administration Comprehensive or the BBA Management Concentration. Most undergraduate students complete this 54-credit online degree in two years. This 124-credit hour Bachelor of Business Administration in Management program is offered through Fort Hays’ Department of Management. This all-online program includes lively discussions, team projects, and faculty interaction. Graduates of this program often pursue careers as Logistics Managers, Management Analysts, Operations Managers, and more. Designed for part-time students, Southeast Missouri State University now offers an online Bachelor of Science in Business Administration. Students can customize their curriculum based on their own personal career goals. This program is ideal for those seeking administrative careers in retail, banking, finance, and more. Florida International University is home to the R. Kirk Landon Undergraduate School of Business which offers a Bachelor of Business Administration in Finance. This 120-credit, fully-online program combines the best of both theoretical and practical knowledge studies. Students can expect to take courses including Securities Analysis, Strategic Management, Financial Management, and more. This 120-credit online Bachelor’s Degree in Business Administration is ideal for busy adults and working professionals. Offered completely online through Ball State University’s Miller College of Business, this program is consistently ranked among the best in the country. In fact, Ball State’s Center for Actuarial Science and Risk Management has seen some of the most groundbreaking research for major insurance companies. The University of Georgia Terry College of Business now offers a comprehensive online Bachelor of Business Administration degree. Flexible and affordable, this 121-credit degree program is specifically designed for working professionals and is taught by the same professors who teach on-campus. Most students complete this program in three years or less. This online Bachelor’s degree in Business Administration is offered through the Tippie College of Business and requires completion of 120 credit hours. All students must choose their unique Tippie RISE experience; research with faculty, internship course, study abroad, or an experiential course. This flexible program is intended for working professionals who already have an associate’s degree or equivalent college credit. Drexel University now offers an online Bachelor’s in Business Administration through its LeBow College of Business. Courses are taught by the same highly-respected faculty members who teach on-campus. This highly-interactive 180-credit degree program allows students to major in General Business or Marketing, depending on your specific career goals. Oklahoma State’s Greenwood Center for Online Excellence offers a Bachelor of Science degree in Business Administration with tracks in General Business, Management, and Marketing. The Management track offers the following specialization areas: Human Resource, Sports, Business Sustainability, and Nonprofit Management. No matter your chosen track, you will need to complete 120-credit hours to earn your degree. The University of Wyoming’s College of Business offers students an online Bachelor of Science degree in Business Administration. Prospective students must apply to the University of Wyoming before submitting an application to this specific online 120-credit degree program. All students must successfully maintain at least a 2.5 GPA in all courses to earn their degree. UMass Online now offers a 120-credit Bachelor of Business Administration from the UMass Amherst Isenberg School of Management. Students may choose from one of the following majors: Accounting, Finance, Management, Marketing, and Operations and Information Management. Students can “try a class,” taking up to 15 credits before applying or while their application is processed, to see if UMass is the right fit! West Texas A&M offers an Online Bachelor of Business Administration Degree with majors in Finance, General Business, Management, Marketing, and Law and Economics. All web-based courses are taught by the same on-campus faculty with the same challenging curriculum and learning objectives. This 120-credit hour program requires students to complete pre-admission courses and 30 credit hours of undergraduate coursework to gain admission. 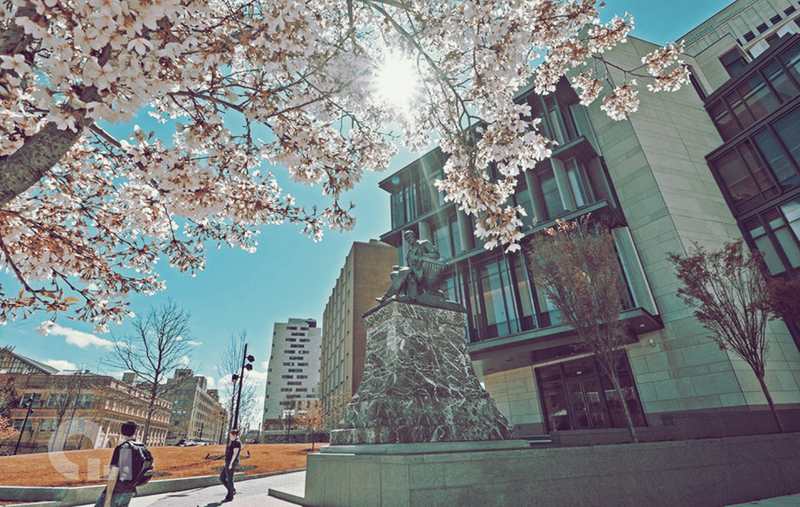 Temple University’s Fox School of Business is home to a flexible online Bachelor of Business Administration degree. Online students can complete a degree in accounting, business management, human resource management, legal studies in business, marketing, or supply chain management. Plus, all students can benefit from one-on-one career coaching, resume critiques, and networking opportunities. The Department of Business and Administration at NAU is home to an online Bachelor of Business Administration 120-hour credit program. Online courses are taught by highly-qualified faculty members. Graduates of this program pursue careers in finance, management, ethics, environmental sustainability, entrepreneurship, and more. The University of South Dakota Beacom School of Business offers an online Bachelor of Business Administration degree in Business Administration. This comprehensive 120-credit hour program offers a variety of emphasis areas for students to choose from, including economics and marketing. This fully online, flexible program offers a highly structured sequence of courses. Students can pursue a Bachelor of Science in Business Administration in Global Business with a concentration in General Business through Troy’s Sorrell College of Business. This program is ideal for adults seeking careers within business, government, the military, and not-for-profit organizations. This program does require a partial on-campus residency. The University of Nebraska at Kearney’s Bachelor of Science in Business Administration is a 120-credit hour online degree program, ideal for working professionals. Students must choose between a minor either in Marketing/Management or Accounting. Graduates of this program find positions in management, marketing, accounting, finance, economics, and more. The Online Bachelor of Business Administration at the University of Illinois at Chicago is a completion program meant for those who already hold an Associate’s degree. The 61-credit hour curriculum is taught by renowned research faculty with the flexibility you need to earn your degree. UIC is the Top Ranked Undergraduate Business College in the Chicagoland area. The College of Business and Economics at the University of Wisconsin-Whitewater now offers its Bachelor of Business Administration degree completely online. Students may complete this 120-credit degree program with a general business major or a marketing major. All online classes are completely asynchronous, so there is no mandatory time to log on. Kennesaw State University offers an online Bachelor of Business Administration in Management through the Coles College of Business. Fall and Spring semesters are approximately 16 weeks long, while Summer is approximately 8 weeks long. Graduates typically work in human resources, supply chain management, project management, and more. Offered through Eastern Oregon University Online, this Bachelor of Science in Business Administration offers one-on-one advising support and a flexible schedule. Students can choose from one of five areas of concentration including Marketing, Accounting, and General Business. This online program boasts small class sizes and a theoretical framework. The Bachelor of Science in Business Administration is an entirely online program made up of 40 courses for a total of 120-122 credits. Offered through the university’s Manning School of Business, this program will prepare you for a career in finance, marketing, management, and more. Online courses are offered during the Fall, Spring, and Summer semesters. Through Regis University’s College of Business and Economics, students can now pursue an online Bachelor of Science in Business Administration. This 120-credit hour program offers seven areas of specialization for you to choose from including finance, management, international business, and more. An applied project capstone is optional. The University of Wisconsin-Platteville now offers an online Bachelor of Science in Business Administration. This 120-credit program offers the following areas of emphasis: Integrated Marketing, Finance, Professional Sales, Management, Human Resource Management, and Integrated Supply Chain Management. All students are assigned an academic advisor once admitted into the program. Students can now pursue a 19-course, 57-credit hour online Bachelor of Science in Business Administration at Indiana University East. Optional online concentrations include Accounting, Computer Information Systems, Economics, Entrepreneurship, Finance, and Marketing. This flexible online program can be started in either the fall, spring, or summer semesters. Pace’s Online Degree Completion Program now offers a BBA in Business Studies through the Lubin School of Business. Students may choose a Marketing and Management concentration or an Accounting and Internal Auditing concentration. This flexible BBA program can be completed in three years if you take two courses per semester. The Bachelor of Business Administration in Accounting at Brenau University is made up of 24 courses and 72 credits, and is offered completely online. This program offers working professionals and adults the flexibility they need, including the ability to take just one or two courses at a time. Apart from accounting, you can major in business, marketing, or human resources management. The Online Bachelor of Science Business Administration in General Business is a completely online, 120-credit hour program offered by the University of Arkansas. The university’s Sam M. Walton College of Business provides online classes in a flexible format with a traditional 15-week fall and spring semester schedule. You may apply previously earned college credit toward this degree. Quinnipiac’s online bachelor of business administration is a 121-credit degree completion program with a strong core curriculum and many business electives to choose from. Ideal for working professionals and those looking to switch careers, this flexible program includes 30 credits of open electives. You can enter this program during the fall, spring, or summer semester. The Bachelor of Arts in Business Administration degree from Rutgers is a completely online program with small class sizes and knowledgeable instructors. Students may select either the General Management or Hospitality Management track depending on their career goals. You can attend classes year-round, full or part-time. Named one of the Top 25 Most Affordable Catholic Colleges in the U.S.
Siena Heights University now offers a 120-credit hour Bachelor of Business Administration degree that can be completed 100 percent online. Students can choose one of six areas of concentration including Accounting, Finance, Management, and more. All students must also complete a capstone experience and present a final case analysis. CSUF now offers a 57-credit online BA in Business Administration with a Professional Business Concentration through the Mihaylo College of Business and Economics. Online students are taught by the same professors and receive the exact same degree as those on campus. Classes are offered in a sequential cohort model so you’ll always get the classes you need for any given term.